If you got fed up with frigid winters and would like to move somewhere with a warmer climate, Florida might be the state you’re looking for. The climate in Florida is as perfect as it can be in the whole nation, even during winter. The amount of sun during daytime is also perfect, as it won’t burn both your eyes and skin once you get out in the open. Additionally, residents of Florida lead a quite relaxing and active lifestyle, mainly because of the weather conditions, allowing them to visit beaches, golf courses, national parks, as well as take part in many outdoor activities – to their hearts’ desire. Florida is often compared to California, in terms of retirement. This is mostly due to their somewhat identical climate and beautiful beaches. The thing that separates these two states is that the cost of living in Florida is much lower than in California, making it a “paradise state” for retirement, and especially for seniors that are unable to afford the prices of places like California. With the money you’ll save by retiring in Florida, you can travel places, buy gifts for your grandchildren, or even donate to a charity of your choosing. However, as it is with any other state, there are areas that have more expensive housing than others. One such example is Miami, a city known to be rather expensive to live in. This is not bad news though, as there are lots of other cities and towns you could choose to retire to without having to pay high sums along the way. Another thing that Florida has similar with California is that this state is also popular with people going on a vacation, which means that whenever your children, grandchildren, or other close friends and family will surely have a great time when they come to visit! that can be found there. In this article, we have collected the most important information about Florida’s senior living options, the support systems that have been put in place, as well as the amenities that each facility has to offer. If you’ve already decided or trying to decide where in Florida to retire to, feel free to use our list of cities below in order to find the closest facility to the city of your choosing. Florida’s housing index stands firm at 100.50, almost the same as the national average. This makes Florida neither cheaper nor more expensive to live in as it is with the other states in the nation. An example of this is the average monthly cost for one-bedroom apartments - $821, compared to the national average of $825 and two-bedroom apartments go for an average monthly cost of $1,026, compared to the national average cost of $1,027 per month. This supports the fact that the difference in costs is negligent. Seniors that would prefer living in gulf areas should take a look at Naples, Tampa, and Clearwater, and seniors that prefer city living might like cities like Miami and Fort Lauderdale. Before you make the final decision about retirement in Florida, it’s advised to get more informed about the monthly living costs for seniors in the state. By doing that, you’ll know how to allocate your money between the living costs and the other expenses that might come up. 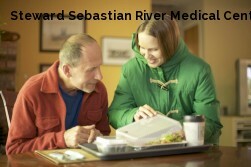 Seniors that are still healthy and active, without the need for extensive care should consider home healthcare services. This type of senior care provides seniors help with daily tasks, housekeeping, meal preparation, and more while still residing in their own homes. The average monthly cost for home healthcare services in Florida is $3,994. Florida also has adult daycare facilities operating all over the state. These facilities provide seniors with supervised housing during the day while their primary caregiver is busy tending to his/her daily tasks and obligations. The average monthly cost for a stay at adult daycare facilities is $1,517. In addition to housing, these facilities allow seniors to take part in social activities that will keep them busy. 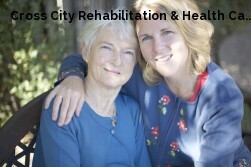 Some basic health services are also provided when needed, including therapies. It is also worth noting that adult daycare facilities don’t offer extensive nursing care, meaning they are best suited for seniors that are still mostly healthy, active, and independent. There are lots of assisted living facilities operating in Florida as well, providing their residents with assistance with their daily tasks and activities. While often confused with nursing homecare, assisted living is quite different from the former – assisted living is the step before nursing homecare. This type of senior care provides seniors with all the care they need in order to flourish, for only the fraction of the cost for nursing homecare, but not as extensive. The average monthly cost for assisted living facilities in Florida is $3,750 and seniors can expect to receive personal care and access to health services within the facilities. Seniors that are no longer able to live on their own within the confines of their homes and don’t have a caregiver to care for them should take a look at nursing homes in Florida. Despite being the most expensive type of senior care, it does provide seniors with great care and supervision, allowing them to lead a comfortable and active life. If seniors want a more affordable option, they can choose to live in a semi-private room for the average monthly cost of $7,146. However, if costs are not an issue, seniors can choose to stay in a private room for the average monthly price of $8,121. Aside from housing, nursing homes provide their residents help with daily tasks, medications, therapy and rehabilitation, including ‘round the clock skilled nursing care. If your dream life includes living by the beach, there’s a high possibility that you will fall in love with Florida. Below, we have listed some of the most alluring benefits for seniors in Florida. In case you’ve been living in the East Coast and are fed up with all the snow during winter and sweeping the ice from the windows of your vehicle, you will be pleasantly surprised to know that residents of The Sunshine State don’t have to do that. Florida’s climate is great throughout the whole year, with lots of sunny and warm days which is great for outdoorsy people. It’s also quite simple to plan your outdoor activities because you can be almost sure that the weather won’t disappoint, despite the humidity during some months. Florida is filled with world-known state parks and beaches which people love to visit and enjoy in. Many seniors choose Florida for retirement because of the great times they will have while sailing, surfing, yachting, swimming, diving, or even going on cruises. Outdoor sports lover? -You will have an ample amount of time and locations where you will be able to go golfing or playing tennis in Florida, and especially so because of the great weather throughout the year. When your grandchildren come to visit, you will be able to take them to some of the many theme parks present in Florida like Disney World in Orlando, or the Busch Gardens in Tampa. These theme parks have great recreational areas that people of all ages find quite enjoyable. But there is more that Florida has to offer than its lustrous beaches. The Sunshine State has a plethora of springs, rivers, and lakes – all for public consumption and enjoyment. There are also the Everglades – the nation’s largest subtropical wilderness! All of the things we’ve mentioned, and much more that we haven’t means that people visiting or living in Florida will never get bored. Florida is also known for being a quite tax-friendly state for seniors that live here. If you still have the desire or need to work during your retirement, you’ll be glad to know that Florida doesn’t have any income taxes for its residents. Social Security benefits are also not being taxed. Additionally, you’ll be pleased to know that your hard-earned pension is among the other things not being taxed here. As cherry on top, Florida doesn’t have any inheritance or estate taxes. Once you’ve taken care of your children and they’re all grown up and independent, it’s high time to lay back and relax. Seniors that want to have a more active social life during their golden years will find many social activities in Florida to partake in. There is constantly an influx of new seniors moving to the state, which means that seniors that choose to retire here will have lots of peers to hang out with. You can choose to socialize anywhere you want, be it over some drinks by the pool, during tennis, or a light seafood meal by the golden beaches. If instead, you’d prefer to travel during your retirement, you’re in for a surprise. There are lots of international airports that can be found in Fort Lauderdale, West Palm Beach, Key West, Tampa, Fort Myers, Miami, Daytona, Orlando, Sarasota, Melbourne, St. Petersburg, and last but not least, Jacksonville. So, no matter whether you’re traveling from or to Florida, you’ll be sure to easily find a direct flight to lots of locations. This will also be good news for family or friends that choose to visit, as they will easily find a flight back and forth, both domestically and internationally. Seniors that decide to retire in Florida have several senior living options to pick and choose from. These include independent living, assisted living, memory care, or nursing homecare – depending on their own needs and wants. Each of these options is elaborated in greater detail down below, so keep reading and find out which one is the right one for you. Florida is home to over 850 independent living facilities that can be found all over the state. Seniors that are still mostly healthy and independent, but still in need of some sort of assistance with daily tasks can choose this form of senior living because they will still be able to enjoy the privacy of their own homes while receiving assistance with their daily chores. Independent living facilities in Florida have an average monthly cost range from $467 to $4,356, a cost that is mostly determined by the location of the facility and the level of care provided. The more affordable facilities can be found in the Sebring area, while the most expensive independent living facilities are located in The Villages metropolitan area. The most often chosen type of independent living is apartment living. 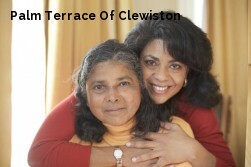 This type of senior living are apartments that are designed for seniors aged 55+ or 65+, accordingly. Apartment living not only allows seniors to live among their peers, but it also allows residents with access to lots of great amenities like gyms, walking and hiking trails, dog parks, clubhouses, pools and jacuzzies, and many more. Some of these active senior communities may also offer services that allow for comfortable living for seniors, like meal preparation and transport services. If you would rather buy a property than rent one, you can always buy a condo, townhome, mobile home, cottage, or a single-family home in some of these retirement communities. Another type of independent living, primarily used by low-income seniors is subsidized housing. There is usually a long waiting list for this type of senior housing, but’s an option available for seniors that meet the qualifications. There are almost 2,000 assisted living facilities available in Florida. As we mentioned before, don’t confuse assisted living with nursing care as this is an intermediate form of long-term care. Seniors that are no longer able or willing to live on their own can stay at one of the many assisted living facilities present in Florida. Keep in mind that assisted living facilities don’t include extensive nursing care, so it’s an option best suited for seniors that don’t require a greater degree of care and supervision. The average monthly cost range for assisted living facilities in Florida starts from $850 and up to $7,920. This price gives seniors access to healthcare, social and local activities, housecleaning, laundry services, help with transportation, meal preparation, and much more. These facilities also have ‘round the clock supervision for residents’ safety. As it is with independent living facilities in Florida, the more affordable assisted living facilities can be found in the Sebring area, while the most expensive ones are located in the metropolitan areas. 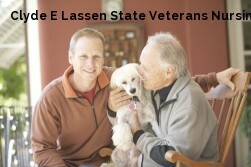 One of the most important senior living providers in Florida are memory care centers. Being the 6th leading cause of death in the U.S., Alzheimer’s has had an 89% increase in deaths since 2000. Memory care centers are designed in such a way as to make navigation easier for residents with dementia, minimizing the risk of getting lost and the subsequent feeling of helplessness. The staff at these centers are always ready to provide help to seniors by calming them down whenever they forget where they are or how do to basic things. Memory care centers have experienced and professional staff that administers medication in a careful way so as to make the residents’ lives more relaxed and care-free. As expected, the costs for memory care centers is rather high, as it is the quality of care provided. 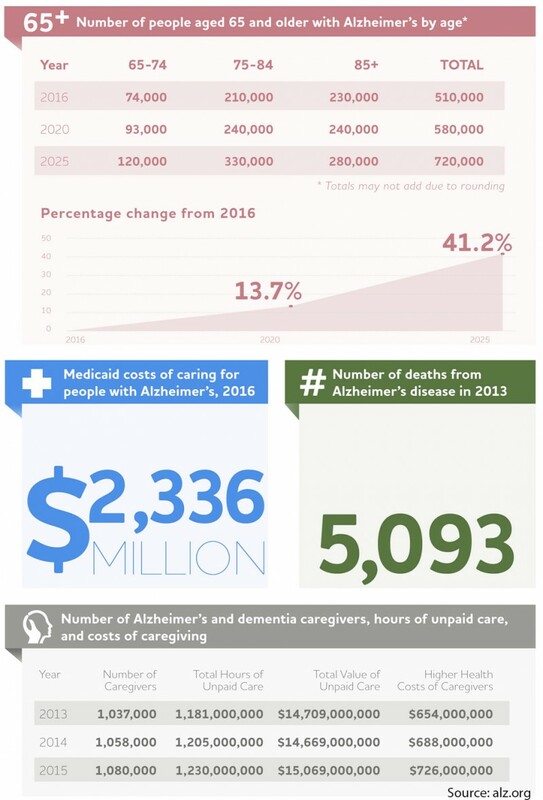 The average annual cost for memory care in Florida is $52,200, and the average monthly costs can range anywhere from as low as $1,232 to as high as $11,484. The most expensive centers can be found in the Villages metropolitan area, for the average annual cost of $89,100, while the more affordable memory care centers are located in Sebring and the surrounding areas. Another thing that Florida is famous for is the number of seniors in the state. A survey that was made in 2016 showed that 19.9% of the total population in Florida consisted of seniors aged 65 and up. Additionally, Clearwater, Hialeah, Cape Coral, and Miami are among the top ten towns with the highest senior population in the nation - and all four of them are located in Florida. It is estimated that the senior population in Florida will account for 56.9% of the total projected population growth of 4.8 million between now and 2030. But worry not, as Florida has already accounted for this rise of senior population with almost 4,000 senior living providers in the state. 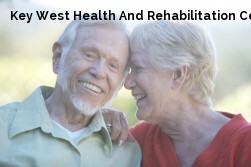 The facilities and their programs are specially designed for seniors that require a greater degree of care. There are 292 adult daycare centers in Florida, providing additional care for seniors whose primary caregivers are their family members. Adult daycare facilities take care of seniors during daytime, while their primary caregiver is busy taking care of their own daily chores and obligations. This type of nursing care has become a great option for seniors that are no longer independent, and in need of help throughout the day while their primary caregiver is out taking care of other things. Seniors residing at these facilities will be provided with all their meals, as well as assistance with daily tasks like personal care and medications. Adult daycare facilities also provide plenty of opportunities for seniors to socialize and feel like a part of the whole. Some of them also have live music performances in order to bring more life to the place and generally have a great time. There are also salon services and massage therapies at these facilities, providing another way for residents to hang out and diminish the feeling of loneliness through new friendships. As far as costs are concerned, adult daycare facilities have an average cost of $15,600 per month, a price that varies depending on the location of the facility. The most expensive adult daycare facilities are located in Tampa, Clearwater, and St. Petersburg for the average annual cost of $21,450, while the most affordable ones can be found in Port St. Lucie, for the average annual cost of $13,000. However, location is not the only thing that affects the prices of adult daycare, as the amount of time spent plays a big role as well. Seniors can choose to stay at these facilities for a day, weekdays, whole weeks, months, or even indefinitely. Some extra amenities might influence the cost as well, like podiatry services. Another type of nursing homecare that is available but used too late is hospice care. This type of nursing care is often used by seniors that have been diagnosed with a terminal illness with no hope of recovery. Even though it’s most often used just days before passing on, terminally ill seniors can stay at these facilities for up to six months, after a doctor’s approval. Hospices provide their terminally ill residents with a pain-free and dignified way to pass their final days. This is not only important for seniors, as their families can feel relieved knowing that their elders have spent their final days with as much comfort and happiness as possible. Hospice care also includes grief counseling and help with funeral services as well, taking the load off the senior’s family and allowing them to focus on enjoying whatever time they have left with their loved one. The most widely used method for covering the costs of hospice care is Medicaid, since it has the Medicare Hospice Benefit which covers all of the costs involved with this type of nursing care. This can be used when the senior has a low income and no assets. It is worth noting that some private insurances can also provide such hospice care benefits. The only thing that patients might have to pay for in Florida, as far as hospice care is concerned is up to 5% of medications. The administrative staff at hospice care facilities will provide seniors and their families with assistance on how to fill out the forms and paperwork so as to qualify their loved one for coverage no matter which insurance they’re using. Family members that are acting as the primary caregiver to their elders can sometimes fall into a caregiver depression, characterized by feeling of hopelessness and immense exasperation. In order to avoid this, seniors and their families can use the help of respite care, which provides professional care for a set amount of time. The time a senior can use the services of respite care varies, from a set number of hours during daytime, to predetermined days of the week, or for a short time after a serious surgery. This can be done in the senior’s own home, or at a fully monitored senior living facility, if there’s a free room. There are over 950 respite care facilities in Florida, and the average annual cost is $83,950. This cost varies, depending primarily on the location, level of care required, as well as the amenities that are provided at the chosen facility. That being said, the average monthly costs for respite care facilities can range anywhere from as low as $6,438 to as high as $19,140. While the cost for respite care is usually not covered by any types of insurances, it is well worth the money, as it provides seniors with the proper care and attention they need, and their families can be at peace of mind knowing that their elderly loved one is in safe hands. Assisted-living-facilities.net will help you to find the best quality Assisted Living facilities in Florida. You can also find skilled nursing, memory care facilities, retirement communities and assisted living regulations in Florida. Here you can compare ratings and check prices and costs for assisted living. Read reviews and more, with the best directory for Assisted Living Facilities. The state of Florida has 4977 assisted living facilities. If you're searching for information about assisted living communities in Florida, you need to look no further! Assisted-living-facilities.net will provide you with the most comprehensive information about the number of 4977 assisted living facilities for seniors that are currently available in Florida. The assisted living services available in Florida include in-home residential and assisted living situations, nursing homes, retirement communities, adult day care, and a range of independent living situations, you can also find Alzheimer's and hospice care. Searching in Assisted-living-facilities.net to find information about Florida's assisted living communities is simple! You can use the site in these ways to search and find the assisted living facility or community that is the right one for your needs, and allows you or to your loved one, to live close to friends and family and to enjoy fully. Getting all the support of the amenities that Florida has to offer. The average monthly starting costs for assisted living facilities in Florida (higher for residents requiring memory care) starts and depends on the level of care the resident. The average monthly cost of assisted living in Florida starts from $2,100 to $4,500.